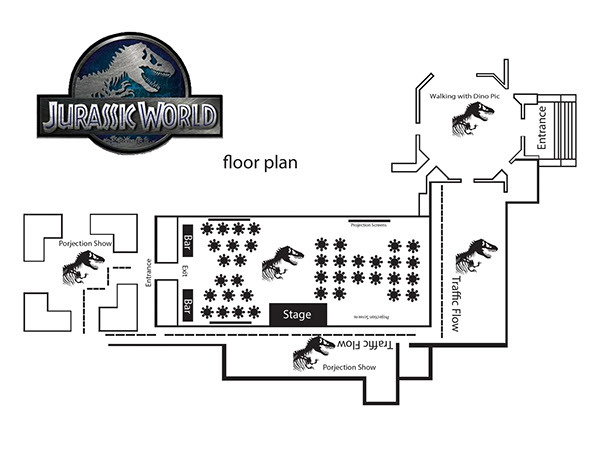 A mock up of a event for the Jurassic World premiere 2015. The event is held at the Natural History Museum of Los Angeles. It is composed of a table scape plan, a stage vignette, and a basic floor plan of the event. 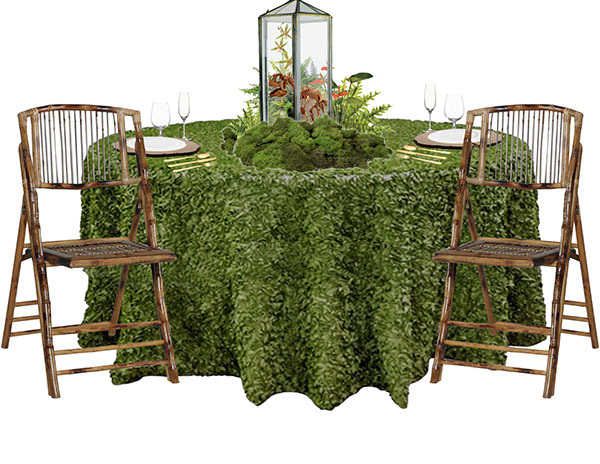 The table scape show cases a simple set up of a moss like table cover, dark brown bamboo chairs, a slab of wood a table accent, white china with a gold trim with matching silverware and a center piece composed of various jurassic plants, a prop of miniature dinosaur bones. 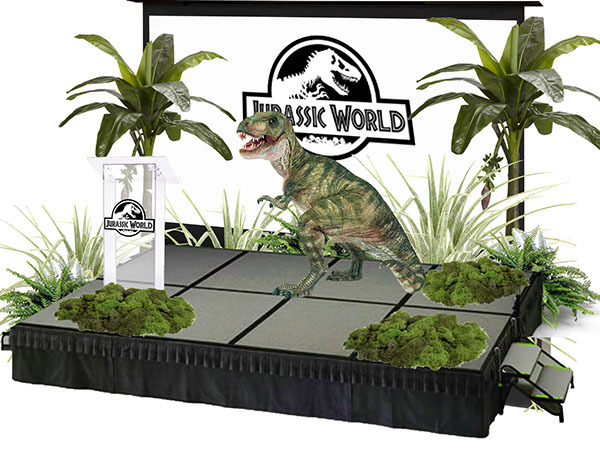 The stage vignette show a basic stage with elements of greenery and also a T-Rex prop. The vignettes and floor plan are created on adobe photoshop and illustrator.